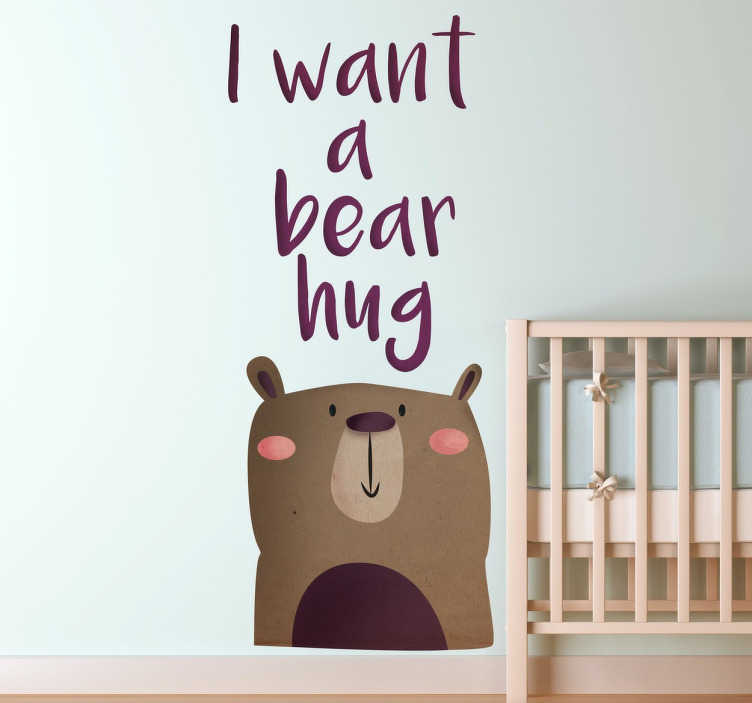 Original teddy decal from our teddy bear wall stickers collection for the nursery! A North Bonita vinyl design! Grab an exclusive design by the artist Rachel Blazquez with its distinctive, elegant and great style in a funny calligraphic text on the top that says "I want a bear hug". Ideal for decorating the usual play area or the bedroom of the little ones giving their space a unique, colorful, cheerful and a warm atmosphere.